Most states cover smoking cessation programs for Medicaid recipients. There are a few holdouts, however. Until recently, Arizona was one of those states. There is good news for Medicaid recipients in Arizona these days – especially when it comes to trying to stop smoking. Governor Janet Napolitano signed a new bill – #1418 – into law Tuesday. This new law allows Arizona Healthcare Cost Containment System to cover smoking cessation costs for individuals who are enrolled. Now that Arizona has created this law, there are only six states left in the country that do not cover the cost to quit smoking. Arizona now pays 14% of its budget – about $316 million – on smoking-related illness each year. This new law will help Arizona recover 67% of the costs involved through matching funds by the federal government. As a result of dealing with smoking itself and eliminating it from peoples’ lives, the state hopes to save enough money so that there will be no negative financial impact on the general fund. Approximately 36% of Medicaid recipients are smokers. Taxpayers pay the $316 million that has been being paid out. Getting people off tobacco will save money for the people and for the state, as well as helping Medicaid recipients to attain better health. In addition to the program supporters that have already been mentioned, the American Cancer Society also supports the law to help get people off tobacco and help their health improve. Arizona Health Care Cost Containment System is also known as Arizona’s Medicaid program. This particular program is funded by the state of Arizona as well as the federal government. What this system does is that it provides high quality health care for low income individuals or families. Arizona Health Care Cost Containment System or AHCCCS contracts with health plan providers and pay them monthly premiums for their beneficiaries. Basically, Arizona Medicaid or the AHCCCS works just like any other Medicaid program being offered by different states in the US. Here, your medical bills will be paid in full or paid mostly by the Medicaid program. This means that even if you live or have a low income household, you will still be able to enjoy high quality health care provided by the state and federal government. The great thing about Arizona Medicaid or the AHCCCS is that the eligibility requirements and rules are not handled under one program alone. Instead, it will divide its beneficiaries according to their category. For example, for low income families, pregnant women and children, they usually get AHCCCS through the Department of Economic Security offered by the state government. For the disabled, elderly, and the blind, they enter AHCCCS through Supplemental Security Income by way of the Social Security Administration. To apply for AHCCCS, you will need to ask for an application form or you can simply download it from the internet fill it out and mail it back. After the AHCCCS have received your application form, they will give it to their eligibility specialist to review your application. They will search for health care program or programs that you and your family may qualify for. If there is something that you need to do or send, AHCCCS will call you and tell you about it. The eligibility rules and requirements largely depend on your household income. There are also different rules and requirements for different people. There are eligibility rules for children, for families and individuals, for the elderly, and also for the disabled. There are also special programs for pregnant women and single parents. Health care is something that you should never neglect. However, if you can’t pay the medical bills because you are categorized as being in low income level families, then you may want to consider getting Arizona Medicaid or enroll with AHCCCS. Here, you will see that your entire medical bills will be paid for by the state and federal government. 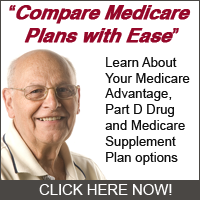 Even prescription drugs can be covered as well as home health care. You have to remember that the most important qualification factor if you plan on getting Medicaid in Arizona is that you should be a resident of Arizona. If you are an alien, you need to be registered or you need to be a qualified alien. Your immigrant status is important as not being a qualified alien will leave you helpless when it comes to getting health care in the state of Arizona. These are the things that you have to remember when applying for Medicaid in Arizona. Through this, you will be able to see that Medicaid will be one great help especially if you or someone in your family needs immediate or constant medical help. Through AHCCCS, any medical bills you get will be paid for by the state and federal government.